A user complained about a batch not being able to be posted. The error message is something like this: This batch is currently receiving transactions. And quite apparently, in my case, it was 3. i.e. BATCH_RECEIVING. It’s very easy to update this field back to ZERO that denotes BATCH_AVAILABLE, so user can post it. I could have also done the same thing. But I did not. I just wanted to make sure that this batch indeed did not receive any transactions. How do we identify whether a batch is receiving transactions or not? That I will address in another post. This one is intended to caution a Consultant or Administrator NOT to update *Batch Status* thru’ SQL for any batch which is marked as BATCH_RECEIVING when users are logged on. It would break a valid transaction being saved in this particular batch. When a batch receive transactions, GP locks this batch from getting posted only by updating the *Batch Status* field with BATCH_RECEIVING. By changing that from back end, we are risking batch getting corrupted. Tell the user that he/she has to wait. And wait till users log off from GP. And then check whether the *Batch Status* becomes BATCH_AVAILABLE. In case it is not, then you update it thru’ SQL. It is worth waiting for sometime than trying to clear a mess. I take this opportunity to insist again: SQL is not ALWAYS an appropriate approach for issues that we face in GP. UPDATE: David has sent me a link, which quite obviously I missed mentioning here. How did I miss this? We do have a way to release stuck batches without logging off users. 1. Inserts set of records from one DB into a Table Variable. 2. Inserts similarly structured set of records from another DB into the same Table Variable. 3. Finally retrieves records by SELECT…GROUP BY… statement based on necessary criteria. The above is to ensure that I don’t end up troubleshooing Temp table issues or data redundancy or performance issues for that matter. The above error message is quite less informative.﻿ I initially thought Stored Procedures are not properly supported by PowerPivot (how silly I am…!!!). But I just gave myself some more time to search forums as usual. After all, I spent almost a day in getting that Stored Procedure completed with 100% accurate results. 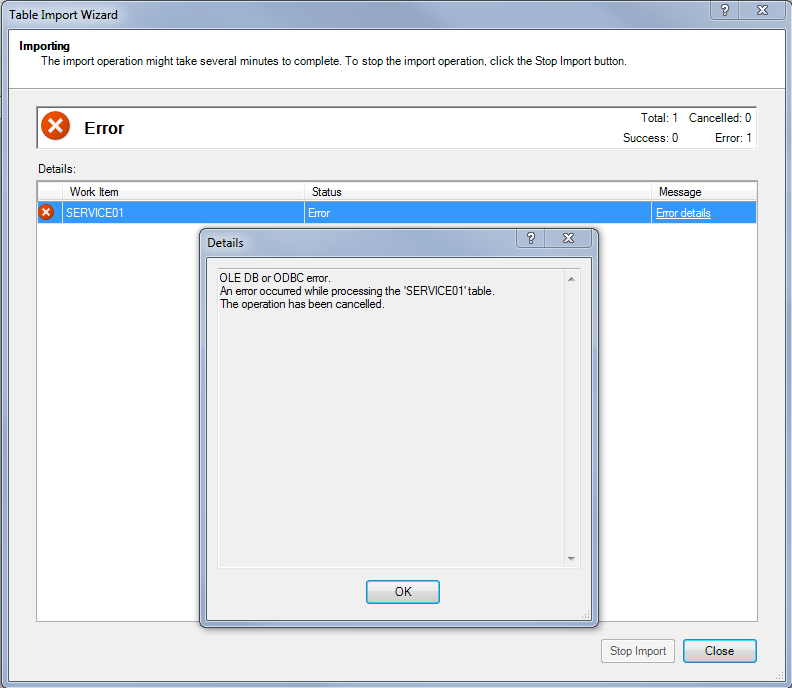 The Post I got this answer from: PowerPivot and Stored Procedure as a SQL Source. The answer is given by Microsoft Product Team and that was conveyed by Lisa Liu CSS, a Microsoft Moderator. The reason for why we ought to set NOCOUNT ON is given in the same post by Devarajan KM. The reason is: Set NOCOUNT to ON so that you get only one result set arrived after execution.